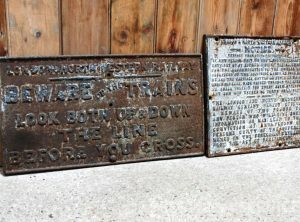 A pair of collectable large heavy cast iron railway warning signs from the London & North Western Railways. 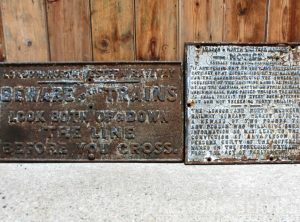 ‘BEWARE OF THE TRAINS …etc’ (26″ x 16″) and ‘NOTICE… To shut gate.. etc’ (18″ x 18″). 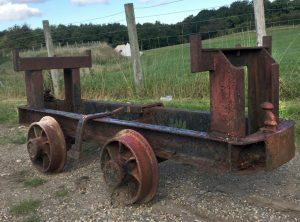 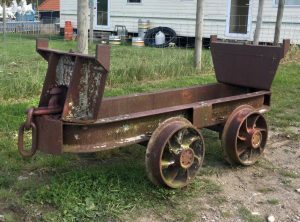 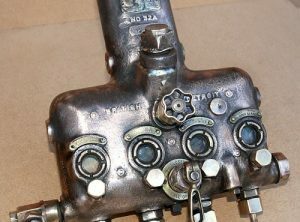 Both in original condition. 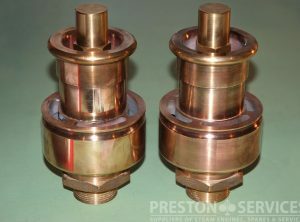 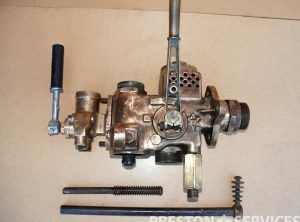 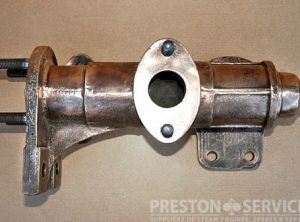 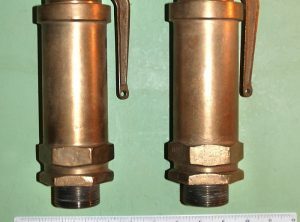 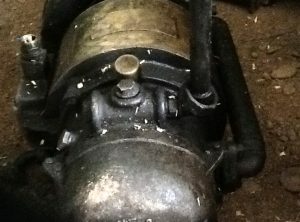 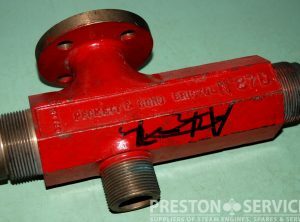 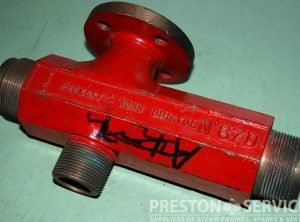 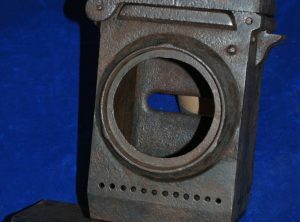 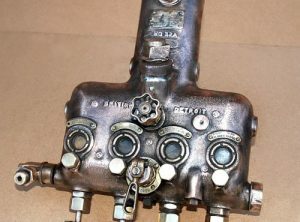 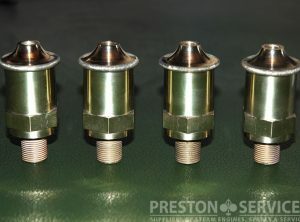 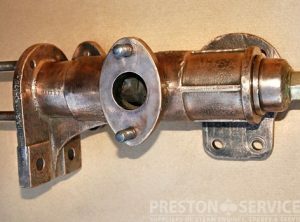 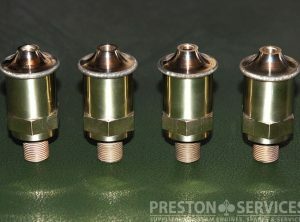 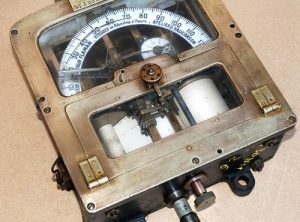 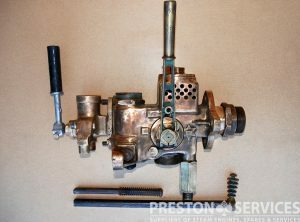 A large vacuum operated cast bronze steam locomotive brake valve.